Idiom: To Shop Around; used as a verb. First Example: Tom had shopped around at several stores before finding the refrigerator he wanted. After comparing prices at a few places, he found that the appliance store by his house had the cheapest price. Meaning: To Shop Around means to shop at different stores to find what you want at the best price. In this example, this person had gone to several stores to compare the price for the refrigerator he wanted. This idiom can apply to any situation when a person is looking for the best price for a particular item. The idiom is used as verb in this example. Second Example: Before you decide to buy a new car, you should always shop around at several car dealerships first. Most first time car buyers tend to experience “buyer’s remorse” when they find out that they could have bought the same car at a lower price. 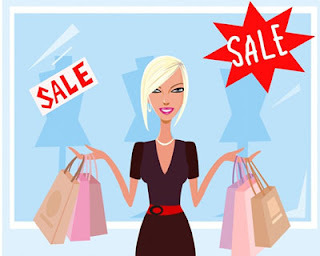 Meaning: In this case, the idiom, Shop Around, is used to express the advice that one should research the cost of buying a big priced item before buying it right away. Most people tend to regret buying an item if they find out that they could have bought it at a lower price. In this example, the idiom is being used as a verb when giving recommendations/suggestions. This idiom is from the book "Everyday Idioms – Book One" which is used in the LSI Intermediate Conversation Class. 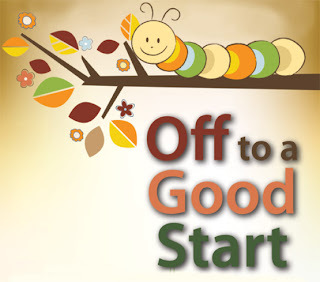 Idiom: To Get Off to a Good Start; used as a verb. First Example: Mary’s first day of class got off to a good start because all of her students arrived on time and were excited for the first lesson of the day. Meaning: To Get off to a Good Start means to start a particular activity correctly or to have a successful beginning. In this example, Mary’s first day of class had started out correctly because all of her students had arrived on time and were ready for class. Further, her students were very excited for her first lesson and the idiom implied that she would have a successful day. This idiom can apply to any situation where any particular project or activity starts off in a good way. This usually applies to an activity that required a lot of planning. It’s used as a verb in this example. Second Example: John’s blind date with Cindy was off to a good start! After meeting her at the restaurant, they both discovered that they had similar interests and were both very passionate about their pets. Meaning: In this case, the idiom, off to a good start, serves to express the idea that John and Cindy’s blind date had a successful start. Typically, an awkward situation, such as a blind date, can be a potentially frustrating event. However, since John and Cindy shared many common interests, the blind date could potentially lead to a very fruitful relationship in the future. In this example, the idiom is being used as an idiomatic phrase. This idiom is from the book "What’s up – American Idioms," which is used as supplemental material in the LSI Levels 5-7 Listening/Speaking classes.